Whether you are thinking about updating your garden’s existing space, or have a blank canvas, it is important to ensure that your paving project is completed to the highest possible standard. With this in mind, this article sheds some light on patio maintenance, drainage, pointing, efflorescence, and safety, so that you can get the best from your paving. Firstly, there are a few health and safety procedures you should follow whilst carrying out your paving project. Items over 25kg should be carried by multiple people or by lifting equipment. Gloves should be used to protect the hands. Safety goggles should be worn to protect the eyes. A dust mask should be worn to protect the lungs. Paved areas should be laid on well-drained ground. Your paved area needs to be gently sloping to allow excess water to direct away from any buildings. To make sure your paving has sufficient drainage, it has to have the correct gradient. The finished surface level should be at least 150mm below the damp course level and slope away from the building, with a gradient of 1:60. If your paving does not have sufficient drainage, it will retain water and alter the weathering characteristics of the materials. Pointing involves filling the joints of your patio with mortar. It is an essential step in the paving process as it improves its appearance and weatherproofing ability, so needs to be carried out properly. A strong semi-dry mortar mix is recommended for pointing, as this achieves the best results. It is best to point in dry weather whilst you are laying your paving. Your pointing material should be used within 30-45 minutes or it will become too dry to use as a bonding agent. Do not point with sand or stone, as this causes moisture to build in the joints and spaces between the paving, resulting in water penetrating into the sub-base, and leaving dark stains on the top surface and around the edges of the paving. Efflorescence is a naturally occurring phenomenon, in which deposit forms on the surface of the paving. Luckily, staining caused by efflorescence disappears over time. Efflorescence can take the form of a stain or loss of colour on the slab’s surface. This occurs due to an interaction between the cement used to manufacture the paving and the natural environment. Efflorescence can also occur when natural stones are laid on a mortar bed. Water is drawn up from the mortar bed to the surface of the stone, taking salts with it. When the water has evaporated, a salt deposit is left behind on the surface. There are a few things you can do to maintain your patio’s appearance and condition so that it will look as good as the first day it was laid. Wash your patio 3-4 times a year. Thoroughly wash or hose down your paving with warm soapy water and scrub the patio area with a broom, before rinsing with water. However, it is not recommended to use a high-pressure washer on wet cast paving. To protect your patio from soiling, staining, algae and moss, sealants can help defend porous paving. To de-ice wet cast paving, use a specialised de-icer, rather that common salt, as this will damage the paving. It is important to consider these factors for your project in order to make sure your paving is as attractive, durable, and high-quality as possible. Remember to follow safety procedures, allow for sufficient drainage, point with precision, be aware of efflorescence, and carry out maintenance accordingly. This will allow for a more efficient, successful and safe project, and for you to get the best from your paving. This post was written by Simply Paving, a leading online paving supplier with expertise in gardening, paving, DIY and design. To make sure your paving has sufficient drainage, it has to have the correct gradient. If your paving does not have sufficient drainage, it will retain water and alter the weathering characteristics of the materials. 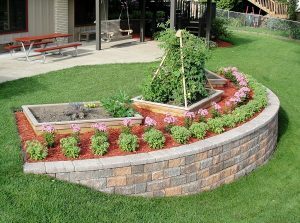 This entry was posted in Yard and Garden and tagged Garden, Landscaping, Patio, Patio Maintenance, Paved Areas, Paving, Paving Project, yard. Bookmark the permalink.